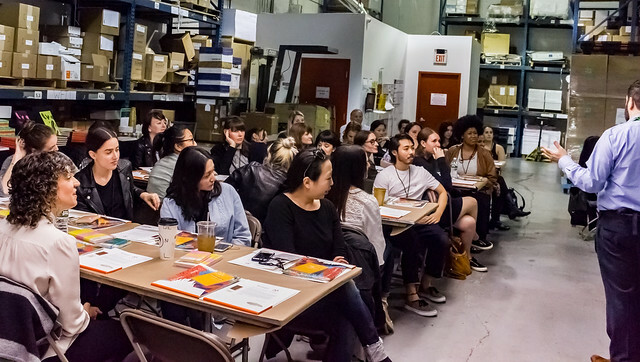 On Wednesday May 24th, 2017, Sunset Printing opened its door for the 3rd Annual Print Designers Workshop sponsored by Mohawk Paper. 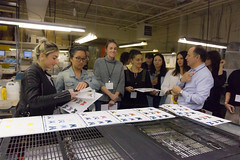 This event featured an exclusive hands on workshop in our factory bringing together designers, marketers and print enthusiasts from some of New Yorks most prestigious names in fashion and design including Tommy Hilfiger, Ann Taylor, L’Oreal, Coach, Stuart Weitzman, Harry Winston and West Elm. 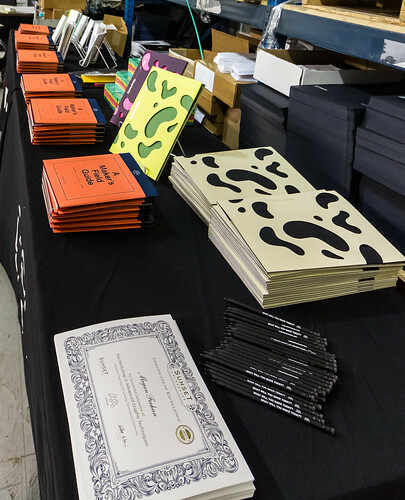 The event featured in depth discussions on a wide variety of printing processes, how they are best utilized and most importantly how to design for each process. Our main focus was to help designers get the most out of their print. Not to be outdone, the team from Mohawk Paper was on site as well. 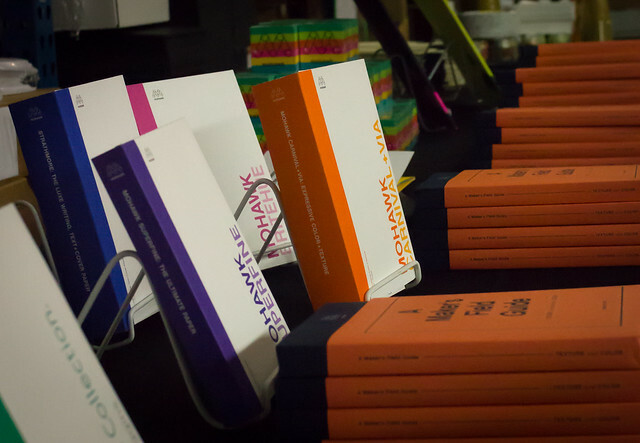 They came showcasing their many beautiful lines of paper and showed us how each paper type, combined with the right process, can take any design to the next level. The day began with introductions from the Sunset team, Mohawk team and of course our attendees. We divided into several groups to tour the facility, review samples, and get a closer look at the extensive Mohawk library. 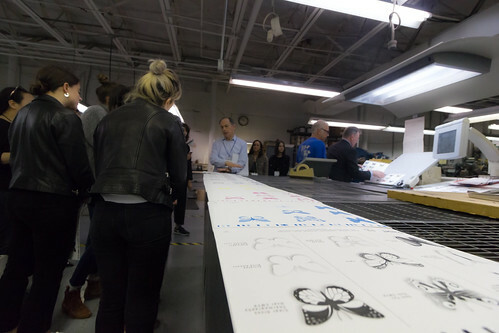 The tour went through each of the printing processes, press by press, with each press setup to print on the same worksheet for the day featuring a beautiful design of a butterfly collection. Butterfly Samples of our Presses in Action! 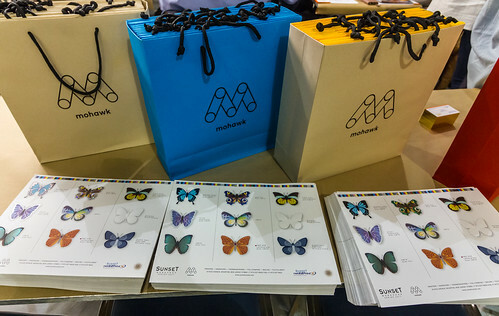 Each single sheet of butterflies featured CMYK offset printing, Spot Color offset printing, Foil stamping over offset, Offset printing over foil, Letterpress, Engraving, Blind Embossing and Thermography. 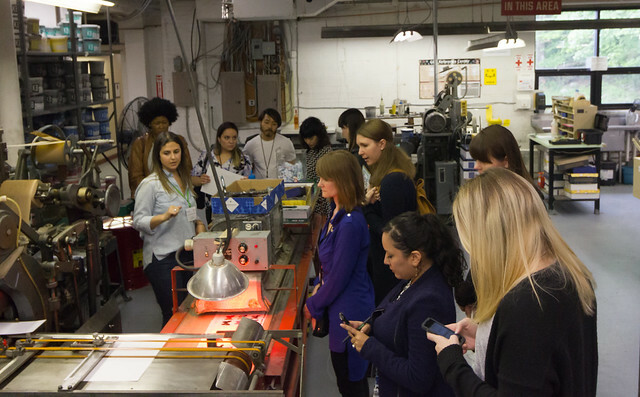 Actually being able to see the ink on press, the dies and how they transfer the impression with the various materials in action was a valuable experience for all. All of our dedicated print designers that came were able to really benefit from watching the process of production, from start to finish. 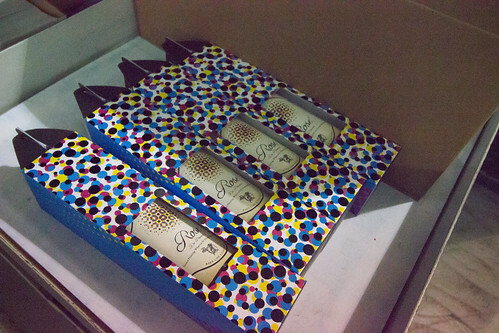 After a delicious lunch and a presentation of certificates for attendance at Sunset University, attendees returned to their office with a collection of samples, a custom CMYK winebox and Rose’ and a vast new knowledge with which to create their next amazing print project.